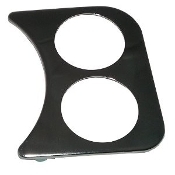 Our Products >> Interior Parts and Accessories >> Dash, Glove Box, Knobs, Trims, Consoles, Steering, etc. Is the dash cover on your Bug cracked, buckled, and faded? 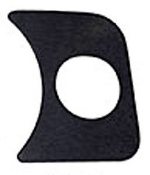 This is a USA made replacement dash pad that fits very well and will really make your interior look brand new again. Is the dash cover on your late Super B cracked, buckled, and faded? This is a rigid plastic overlay that fits right over your existing dash. This is the chrome ring that surrounds your speedometer. Yours is likely rusted, pitted, scratched, and/or discolored. This is the little air vent on your late model dash. It's super easy to replace, and an inexpensive item to change that you see every day when you drive your Bug! This is the little air vent on your late model dash. It's super easy to replace, and an inexpensive item to change that you see every day when you drive your Bug! Sold in pairs. 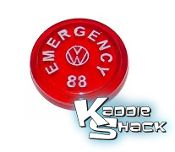 This emergency flasher switch knob controls the hazard lights, and is the replacement for the later cars that have the rubberized knob. The bulb comes with this knob but the insert is sold separately. 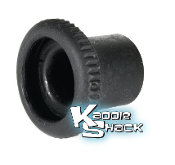 This knob is the replacement for the later cars that have the rubberized knob. The inserts are sold seperately. The fresh air control knob controls the ventillation on the later model VW's. Comes complete with knob and cap. Note: Some cars have a knob with threaded mounting holes. Some come with square holes. This one is the threaded type. Is your headlight switch knob cracked, broken, stripped, or just plain worn out looking? This knob fits all '66 and earlier switches. 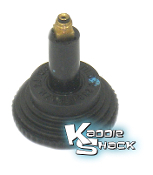 This hard-to-find headlight switch knob is an excellent reproduction of the original one year only part. Is your horn ring dented, scratched, bent, broken, or altogether missing? This quality ring is a great looking replacement. We also have the horn ring mounting kit if you need one! When replacing your horn ring, steering wheel, etc. you might find that one or more of these peices are broken, stripped, or missing. This kit contains all the parts to re-mount your horn ring to the steering wheel. Is the wiring under your dash a big ugly mess when you open your hood? 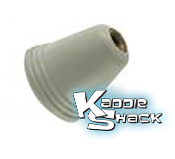 This quality ABS plastic wire cover fits right in and hides the tangles of wires, yest is easily removed in the event you need access to that area. Replace that old cracked cardboard glove box that's faling apart. This one is high strength ABS plastic. Does your glove box not stay closed any longer? Perhaps you've lost the keys and can't lock it? Here's a new quality replacement. Fits late model Standard Bugs. Does your glove box not stay closed any longer? Perhaps you've lost the keys and can't lock it? Here's a new quality replacement. Fits '74 and later Super Beetles. 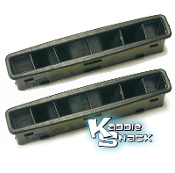 It is super common for the trim frame that surrounds the glove box to crack. If you're replacing your dash pad or glove box, check this frame before you start. This is a quality replacement frame. It requires the special plastic rivets to install it. If you are replacing the glove box fame o glove box, chances ae you'e going to need some of these special rivets. Sold each. This is a pair of the rubber bumpers, aka bump stops, that keep your glove box door and gas tank door tight. Are your dash moldings bent, corroded, dented, or just plain missing? Replace them with this 3-piece set. These replacement dash modling retainer clips secure the OE dash moldings to the dash on early bugs. They may need to be filed down slightly to use them with aftermarket dash moldings. 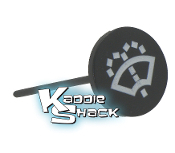 This grommet slips into the hole in the dash on early bugs. Then the retainer clip that attaches the dash molding is snapped into it for a snug fit. This is a replacement handle for that broken part under your glove box that you grip to release your fuel door. If your steering wheel rotates fine but has some play in the shaft, it's possibl that this 40+ year old bushing is broken. It's very common to see these in several different pieces after you take your steering wheel and turn signal switch off. 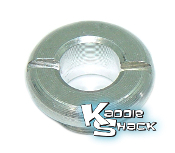 Officially known as an escutcheon, it is the special nut insert that holds VW switches into the dash. This one has 10mm threads. 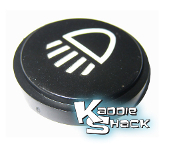 Officially known as an escutcheon, it is the special nut insert that holds VW switches into the dash. This one has 14mm threads. EMPI VDO 3-Gauge In-Dash Panel 2-1/16" EMPI VDO 3-Gauge In-Dash Panel 2-1/16" & 3-1/8"
VDO gauge panel fits 2-1/16" gauges, replacing the stock Bug dash panels. Super sano! VDO gauge panel fits 2-1/16" gauges,and a 3-1/8" tachometer, replacing the stock Bug dash panels. Super sano! EMPI VDO 1-Gauge In-Dash Panel 2-1/16" EMPI VDO 2-Gauge In-Dash Panel 2-1/16"